That’s where hiking can help. 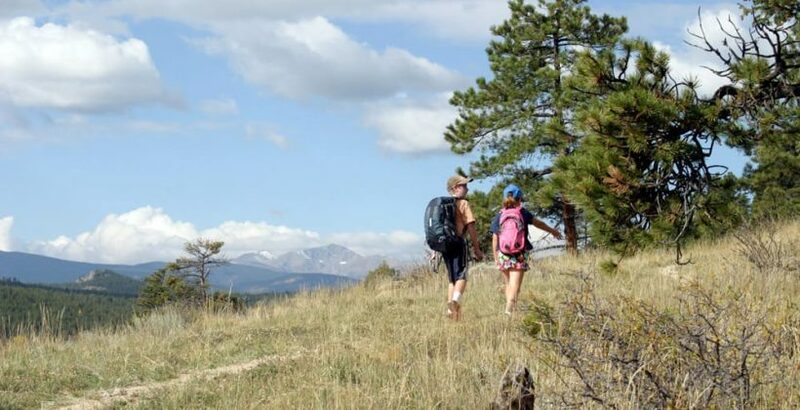 Here are four reasons why we think hiking is worth the time. Consider climbing rocks to reach the best view of the sky at the perfect time: sunset. We love having a gorgeous view of the sun as it takes a bow across the horizon for the day. We love the feeling of stone beneath our feet. And we love the smell of the air around us. As our senses tune into our surroundings, we can enjoy them on a heightened level. When hiking, you have the chance to slow down and enjoy your surroundings. This is much better with someone else. Perhaps a friend will notice a rare insect on a leaf that you would have missed. Maybe your friend needs an extra hand to climb over a group of rocks. Or maybe you choose the best path at the fork in the road. Working together with no distractions sets the stage for a genuine experience worth more than a few selfies. Break out the Fit Bit watch because the step count for your hike will typically be off the charts, especially if you’re planning to double back for the return trail. Walking and climbing combined create an excellent workout. You will feel your legs strengthen, and you will burn calories from walking. On a day filled with sunshine, hiking beats an uphill climb on a treadmill every time! At the start of the trail, hikers begin a journey. They don’t know what obstacles they’ll face along that journey, whether it’s a maze of branches or rainy weather or even a small cave to climb through. But they do know their goal: to make it through the trail. We believe this is especially meaningful because it requires more than wishful thinking. Hiking a trail takes willpower and develops perseverance. Even when obstacles arise, hikers must find within themselves the motivation to move forward. Hiking heightens perseverance – a quality that lasts far beyond the trail.